For more information on how to apply for a Rowing Foundation Grant, or to support the Foundation, please click on the links above. 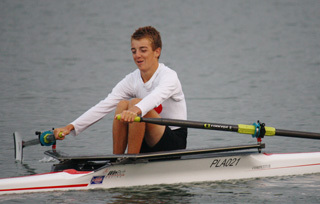 ANY boats in the UK that are being used exclusively by juniors are eligible for the scheme. The Foundation wishes to acknowledge the support it has received by way of legacies and donations over the years including those received from the Estates of the late Peter Coni, Pat Sherwin and John Veats and The Lord Mayor of City of London Appeal 2012. The Stewards’ Charitable Trust have made significant annual donations for more than 15 years and continue to support The Foundation in its work. Please be aware the initial assessment of applications is based on the information on the form, so it is in your interest to fill it in as fully as possible indicating precisely what you want and how you are going to raise 50% of the funds towards it. Approximately half the applications are initially rejected because the applicant has provided INSUFFICIENT DETAILS regarding why the equipment is needed, and specifically how the applicant has, or is planning to, raise the funds. Applications for Refurbishment Grants close on the first day of each month.